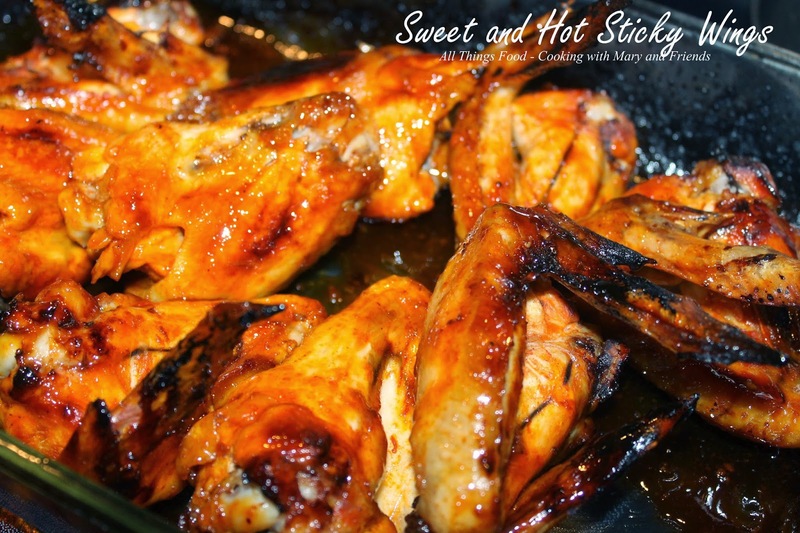 Chicken wings ... those wonderful, tasty wings we love to devour, either hot or mild, sticky or sweet! 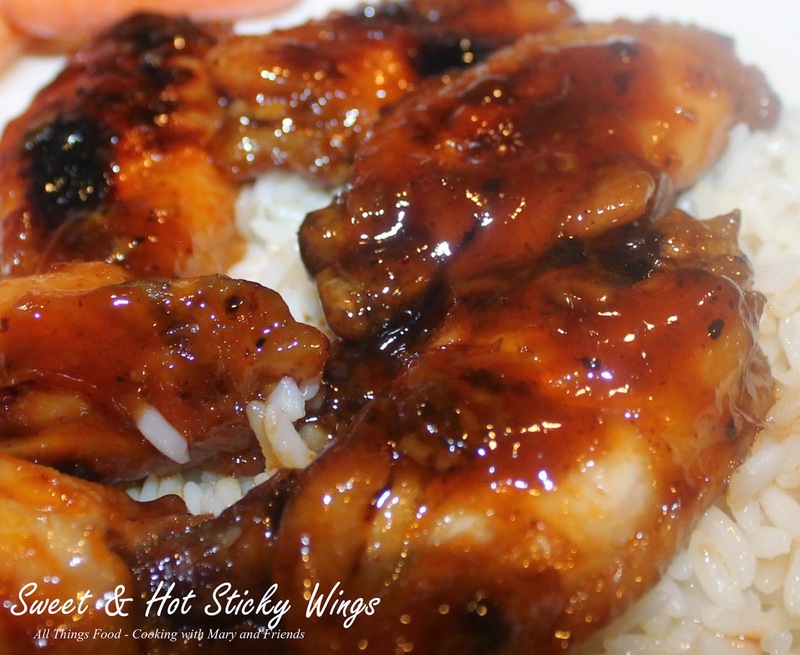 We love wings and have enjoyed them many, many times, but after I made Asian Sticky Wings recently, I wanted to try my hand and Sweet and Hot Sticky Wings. Oh boy, were these ever good. My husband said "that's a keeper" and believe me, not all of my recipes are keepers! He was licking his fingers and smacking his lips the entire time, saying "mmmmmmmmmm, dang these are good!!" Mix hot sauce and honey in a large bowl until well blended. Taste and adjust with more hot sauce or more honey to suit you, but you do want it to have a bit of a bite. Toss wings in sauce to coat, reserving remaining sauce, and place in a 13 x 9-inch baking dish sprayed well with cooking spray (I used a glass baking dish). Bake 30 minutes, remove from oven and turn wings to coat well, adding more of the reserved sauce over all. 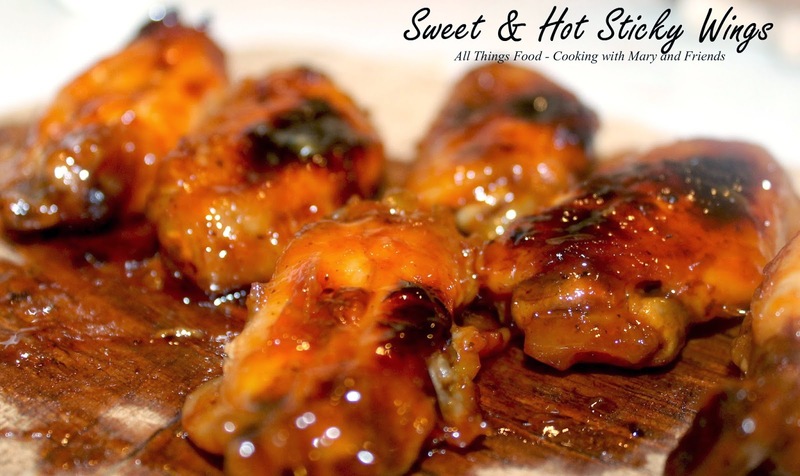 Return to oven and bake 15 more minutes, or until wings are well caramelized and sauce is thick and sticky over all, stirring wings to insure they are evenly coated.